Saudi arms dealer Adnan Khashoggi , a businessman once worth billions and renowned for his lavish lifestyle, has died at the age of 82, his family said. Hailed for his “elegance, strength and dignity” by loved ones, the tycoon, the uncle of Dodi Fayed, was said to have been undergoing treatment for Parkinson’s Disease. He died in London on Tuesday, according to a family statement. 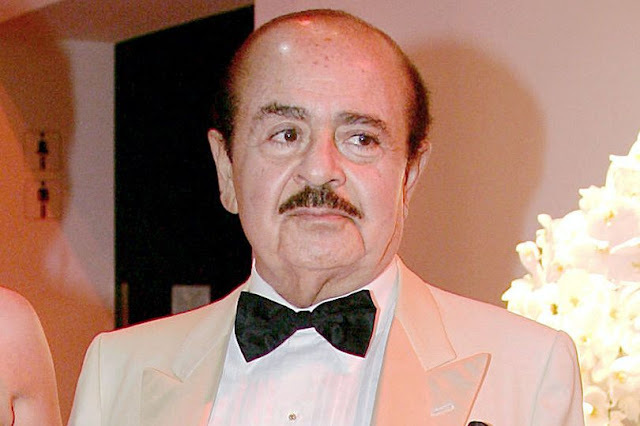 “It is with deep sadness that the Khashoggi family must announce that our beloved father Adnan Khashoggi, aged 82, died peacefully today in London while being treated for Parkinson’s Disease,” the family said. “He lived his last days surrounded by his devoted family, children and grandchildren, with the same elegance, strength and dignity that characterised his remarkable life. At the peak of his wealth in the 1970s, Mr Khashoggi was estimated to be worth £2.4 billion. But the Mirror has previously reported that, for almost two decades, he held the record for the most expensive divorce settlement in history. When his marriage to wife Soraya broke down, she sued for £1.5 billion. While she didn’t get near that amount she still walked away with a cool £500 million. His wealth was built after years of forging deals across the globe with giants of the defence industry, including the Lockheed Corporation.